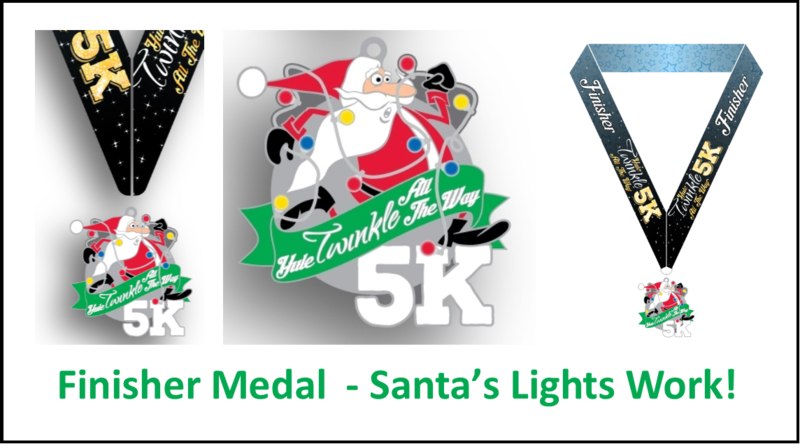 Ready to run a NIGHT Christmas Lights 5K? 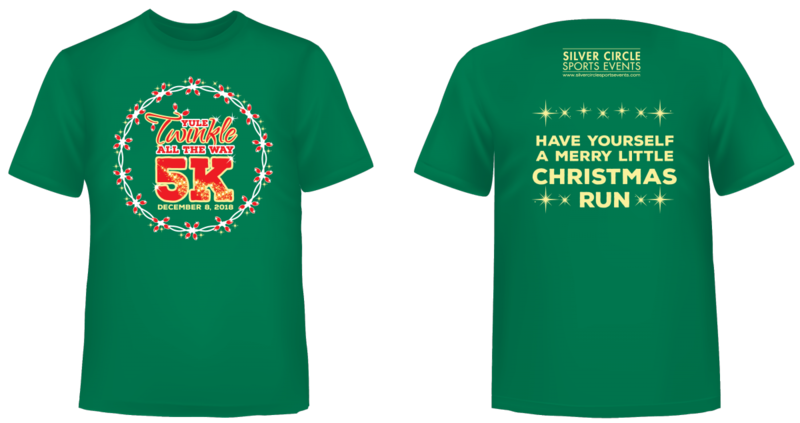 Join Silver Circle Sports & The City of Oconomowoc Parks, Recreation & Forestry for a night Christmas Lights 5K run / walk! Not up to the 5K, take the 1 mile walk. There will be Christmas lights along the course and it will be lined with lite cones. 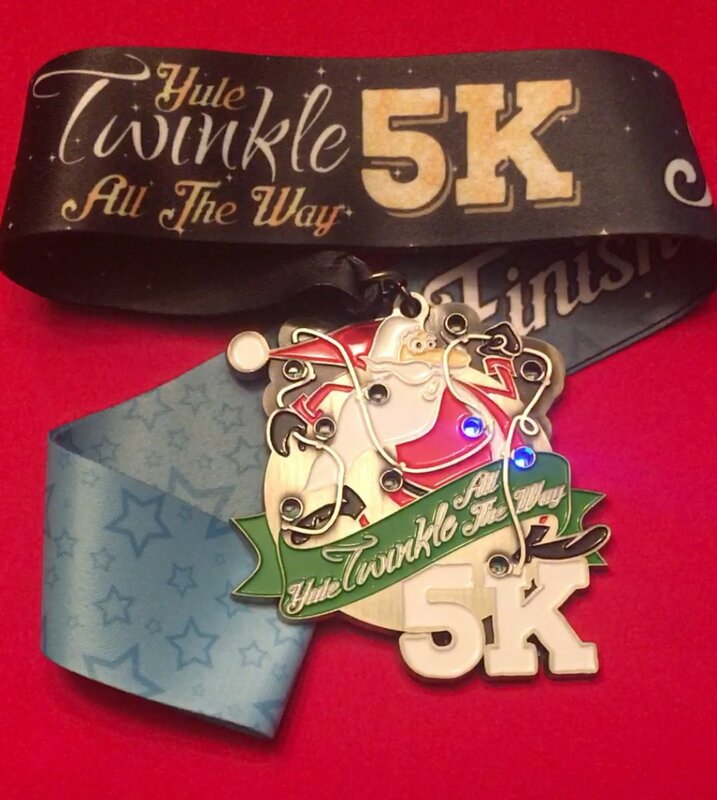 St. Nick will bring all runners a custom finisher's medal that lights up. Proceeds benefit the Oconomowoc Christmas lights fund. If you register after midnight December 7, please PRINT your receipt and bring it to packet pickup. This is a night run and there are sections of the course without street lights. Head lights and a safetly vest with lights are strongly encouraged. New for 2018 - the start line is Downtown on the Village Green. The course takes runners east along the new Fowler Lake boardwalk and then right down Wisconsin Avenue through the Christmas lights. At Church Street, runners head south under the train trestle, past Roosevelt Park then on onto the Lake Country Trail (paved) for a super fast and flat 5K run or walk. The finish line is across from City Beach. Same start and finish as the 5K but you will make the turn at Roosevelt Park. Won't be in Oconomowoc on December 8th? No worries. You can run it virtually and we will send you your medal and shirt after the event. Refer your friends and save money on registration! For every three registrations, we will refund $10.00 of your registration fee. Two ways to do it. At registration checkout, you will be given the option to share your registration on Facebook. If 3 people register from that post, shazam we will refund $10. On your registration receipt, there will be a registration link. Share that link and we will refund $10 for every 3 registrations. You can find the registration link by logging into your Run Sign Up account and email the receipt to yourself. The software will keep track of friends registering from your link and Facebook post. Lots of things to do in Oconomowoc this weekend. 11:30 The Silver Lake Singers directed by Lynne Carlstein will be providing holiday musical entertainment throughout the mall. Top 3 male & female finishers in 5 year age groups. Dress in your favorite Christmas themed costume. The costume contest will be for best Christmas themed team and individual. Winners will receive a free entry into a SCSE race of their choice in 2018. The race is chip timed by Kris Kringle. 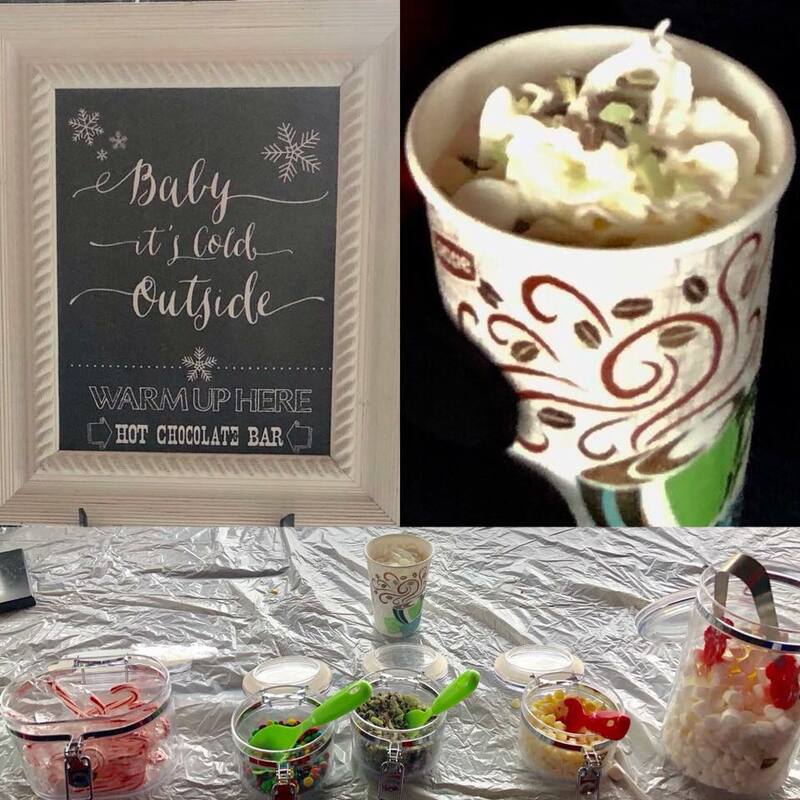 There is one aid station on the course and free hot chocolate at the finish line. Everyone who is registered by noon November 28th will be guaranteed a custom cotton unisex shirt. After that, shirts are available while the on line supply lasts. Do I need an ID? Do pigs fly? This is a night run which means it will be dark. The start, downtown & the finish line are light but the trail is NOT. That means it will be dark. Unless you are an owl, you should consider wearing a running vest with lights & head lamp. The race is also in December, in Wisconsin. There may be snow, a little snow or a couple feet of snow. Be preparred to run in snow. Did we mention it is a night race and it will be dark and there could be snow? Yule be able to park your sleigh right at the start / finish line. Please use caution and watch for reindeer. We need volunteers for everything from goody bag stuffing to course marshals. If you or your group have an interest in volunteering, we would greatly appreciate the assistance. All volunteers can run a future race at no charge. Refunds are not permitted for any reason. The event will be held unless severe weather occurs. In the event of severe weather, the Kris Kringle may delay or cancel the event. If the event is canceled, there will be no refunds. Silver Circle Sports Events has a NO REFUND policy. This event is a Kris Kringle produced, timed & managed event. Need help with an event? Contact us HERE. Copyright © Silver Circle Sports Events, LLC.